The ZR1 Corvette has always maintained legendary status as one of the most advanced and capable performance cars built. 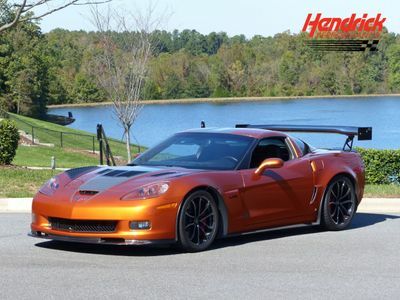 This 2012 Corvette ZR1 was purchased from Chevrolet by NASCAR Champion Matt Kenseth and has only 135 miles since new and is in absolute showroom condition! 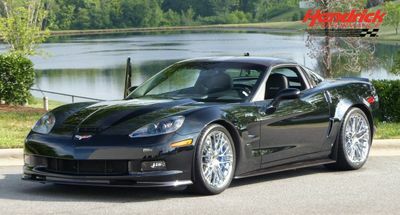 Produced in limited numbers, this ZR1 is one of only 206 finished in the spectacular Carbon Flash Metallic paint. 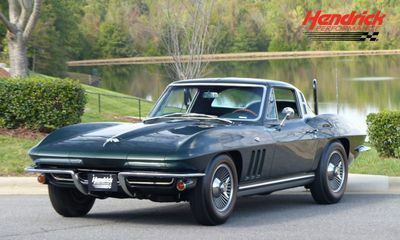 The supercharged LS9 V8 makes a thundering 638 horsepower and is connected to a six-speed manual transmission and limited slip differential. 0-60 is dispatched in just 3.5-seconds, while keeping the throttle buried for 11.8-seconds will get you to the end of the 1/4 mile at 126 miles-per-hour. All this power is kept in check with a host of performance features like active handling, traction control as well as the magnetic selective ride control. The excitement comes to an immediate halt via the ceramic four-wheel disc brakes and satin black cup-style aluminum wheels wrapped in Michelin Sport Cup ZR-rated run-flat performance tires. The 3ZR and Centennial packages outfit this amazing Corvette with custom ebony leather wrapped dash and interior trim, satin black graphics package, Bose premium 9-speaker audio system, memory package, navigation and many other class-leading technologies. 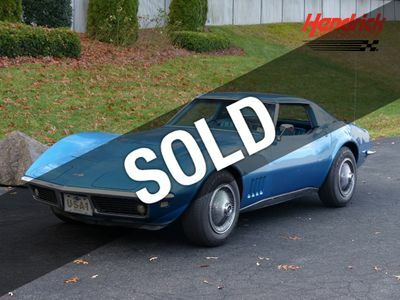 Very nicely documented with its window sticker and personalized Chevrolet handbook this Corvette is ready to be enjoyed so don't miss your chance to own this practically brand-new Centennial Edition ZR1 owned by NASCAR Champion Matt Kenseth! Warranty: This vehicle is being sold AS-IS.